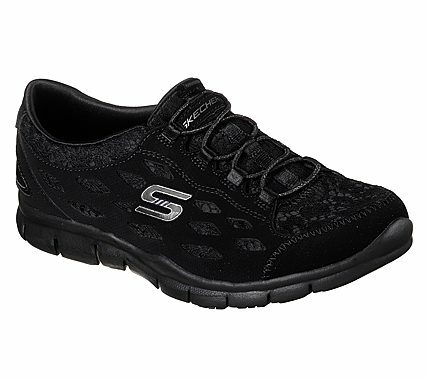 Add some pretty detail to a favorite sporty look with the SKECHERS Gratis – Chic Craze shoe. Smooth synthetic nubuck-finish synthetic and eyelet-woven mesh fabric upper in a slip on bungee laced sporty casual comfort sneaker with stitching and overlay accents. Air Cooled Memory Foam insole.